The "holiest" place in Buddhism, the spot marking the enlightenment of the Buddha, Bodh Gaya, India. If you click on the clock you can even get the weather forecast for Bodh Gaya. I think there may be more, so I will be adding the others as I find them. If you know of any that I missed, you can let me know here. 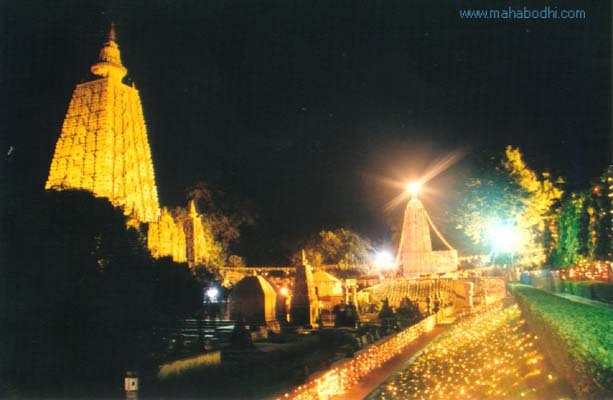 The Maha Bodhi Temple under the provisions of the Bodh Gaya Temple Act 1949 has been under the control of Hindus, even though this is the "Mecca" of Buddhism. The provisions call for 4 Buddhist members on the Board, 4 Hindus, and a Chairman who must be Hindu, effectively making it majority Hindu control. Now a Public Interest Litigation has been filed by a Buddhist in India to attempt to finally bring the Temple to Buddhist control. 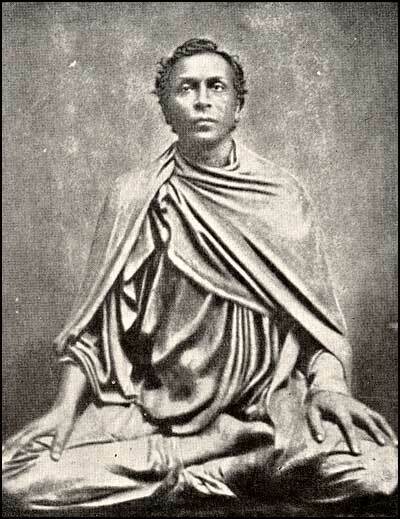 Anagarika Dharmapala, founder of the Maha Bodhi Society spent most of his life attempting to get the Temple and area under Buddhist control, but never got to see it happen. Hopefully his dream may finally come true. Indeed! Thank you David for bringing news of this important development to our attention. The share with Hindus is maybe some more buddhistic. Wish all that there are not more steps as nessesary. Maybe it would be real merit to make a step aside and give those in "need". First week on the throne (pallanka sattaha), second week of the unblinking gaze (animisa sattaha), third week on the walk (cankama sattaha), fourth week in Jeweled House (ratanaghara sattaha), fifth week at Ajapala Nigrodha tree (ajapala sattaha), sixth week at Mucalinda (mucalinda sattaha), and seventh week at Rajayatana tree (rajayatana sattaha). These places are rather meaningful for visitors. I hope these are not just created (by someone) for pilgrims. Are these the actual places of the ‘seven weeks’? Does anyone know how scholars/archeologists find out the seven places? I don't think the other stories / legends are there. I read in a blog by Ven. Dhammika that the other things were added by legend (or perhaps they are in the commentaries?) to add to the allure of the significance of this spot. Even if they are just legends, the significance of this spot is already good enough for me, the first turning of the new dispensation, of a new samma-sam-Buddha and his full enlightenment, the start of a new Dhamma era. 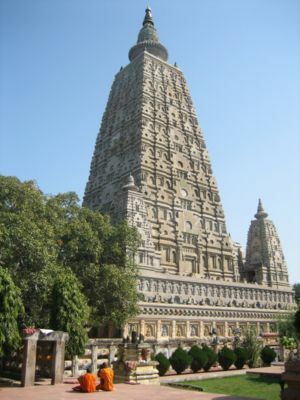 The spire of the heritage Mahabodhi Mahavihara will soon be covered in gold. Devotees from Thailand will donate 100kg of the yellow metal to Buddhism’s holiest shrine, which was rocked by a series of explosions last month. At today’s prices, the cost of the gold needed would be approximately Rs 33 crore. Why are we surprised that there are conflicting media reports - maybe I could respectfully suggest that what they don’t know they soon invent. The descendants of those who put food in the bowl of the Buddha will benefit because it will increase the number of people who come to the temple. That is not to say that I think the a gold coating will be advantageous for the development of any Buddhist who go there; nor do I necessarily believe that it will aid with the dissemination of true dhamma. It is also a fact that the Royal family in Thailand has worked, and continues to work very hard for the poor and disadvantaged in Thailand - which is reflected in the high regard that the family is held in by the "Hill peoples' and the Isaan people that i know.